This morning, Tamil Film Producer Council President Vishal, General Secretaries – Kathiresan and SS Durairaj along with Treasurer SR Prabhu met Honourable Chief Minister of Tamil Nadu Edappadi Palanisamy and expressed their thanksgiving for giving proper protection through Tamil Nadu Police force for the occasion. While interacting with the media and press after meeting CM, Vishal thanked each and everyone for making this occasion a great success including Parthiepan who was the main reason behind giving the idea of hosting a show like this. 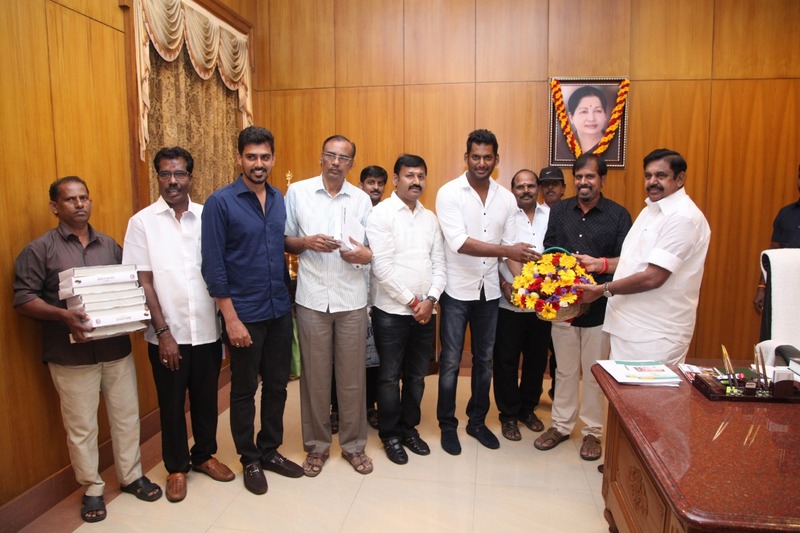 Vishal also said that TFPC has put forward some request to Honourable CM for the betterment of producers and film industry.